French Author François de La Rochefoucauld once said, “The only thing constant in life is change.” Rochefoucauld probably wasn’t referring to poop when he made that statement, but truer words could not have been spoken. Our bowel movements change all the time, and if you have an infection, food intolerance, or other intestinal disorder, your poop could change from normal to constant diarrhea in an instant. If you are experiencing loose, watery stools at least 3 to 4 times per day, you have a condition that is classified as chronic (or constant) diarrhea and should visit FastMed Urgent Care as soon as possible. There are other causes, primarily pre-existing conditions that may affect your health and subject you to constant diarrhea. Treatment for constant diarrhea depends on the underlying cause. If your diarrhea is due to a bacterial infection, you will likely be prescribed antibiotics. If it is caused by a food allergy, you will likely be instructed to abstain from that particular food. Regardless of the source that caused this condition, you should seek immediate attention. When non-life-threatening illnesses strike, making an appointment at a doctor’s office or waiting in a busy hospital emergency room can prevent you from receiving immediate treatment treatment. If left untreated, constant diarrhea can lead to severe dehydration. Don’t wait until dehydration sets in to seek medical help. 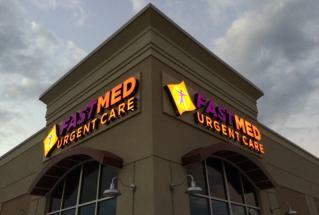 FastMed is open 365 days a year, with extended office hours, and we strive to provide our patients with the best medical care in North Carolina and Arizona.